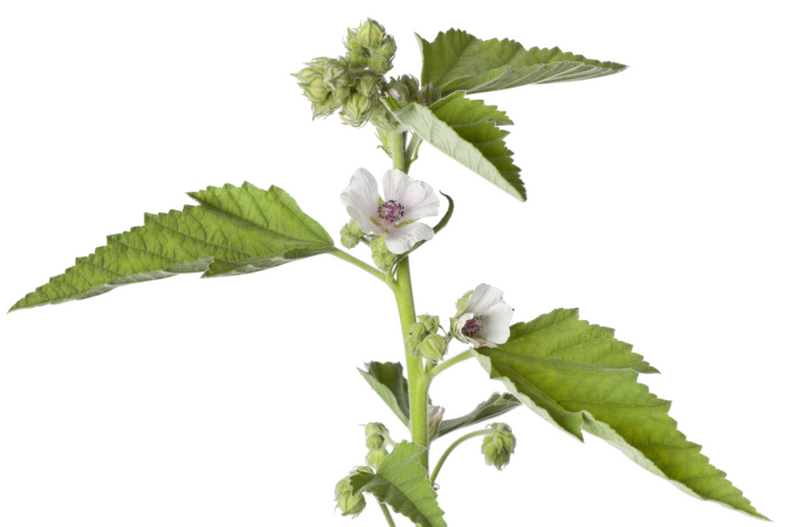 Marshmallow Root: (Althaea Officinalis) has the ability to heal, which is evident in its medicinal name: Althaea, Greek for “to heal.” Marshmallow Root has a keen ability to heal wounds and its roots and leaves carry a thick mucilage that has been used to calm inflammation. Thinking about marshmallows, they are soft and supple, not surprisingly, so are the benefits of the marshmallow root! Dating back thousands of years to ancient Greece, the Marshmallow Root is currently commonly used as an ingredient in lotions, creams and other topical products which promote dermal hydration and soothing.